Every now and then I’ll come across a study that seems to confirm the importance or validity of a Jewish tradition. This happened a few years ago when I read about the research promoting the importance of the family dinner and immediately connected it with the Friday night Shabbat meal. In addition to the traditional and spiritual benefits of celebrating Shabbat as a family, there are countless other benefits to simply sitting down together a few times a week to enjoy a meal together. From The Family Dinner Project (thefamilydinnerproject.org): Over the past 15 years researchers have confirmed what parents have known for a long time: sharing a family meal is good for the spirit, the brain and the health of all family members. Recent studies link regular family dinners with many behaviors that parents pray for: lower rates of substance abuse, teen pregnancy and depression, as well as higher grade-point averages and self-esteem. Studies also indicate that dinner conversation is a more potent vocabulary-booster than reading, and the stories told around the kitchen table help our children build resilience. The icing on the cake is that regular family meals also lower the rates of obesity and eating disorders in children and adolescents. Shabbat affords families the perfect opportunity to reap these benefits. 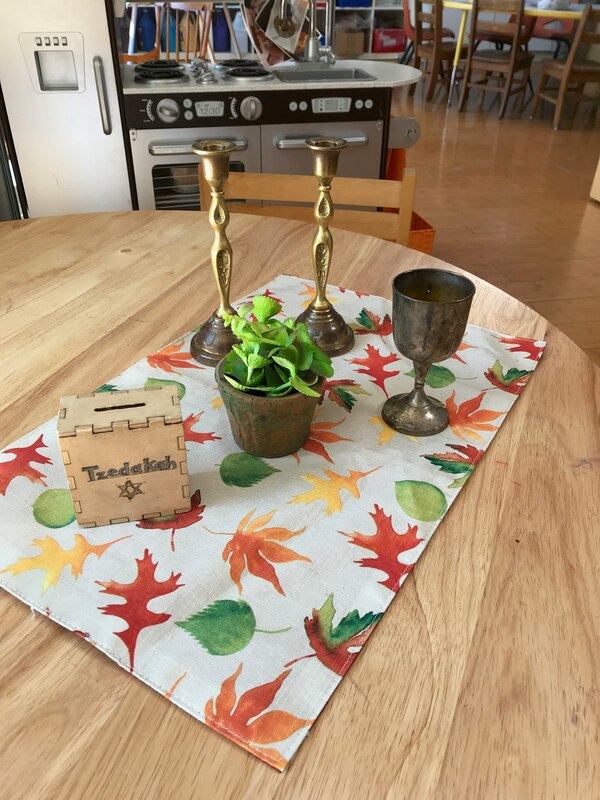 One way that we promote the value of Shabbat and the family dinner in the preschool is by sending home “Shabbat Bags.” Every week a different family gets the chance to take home the class’s Shabbat Bag. 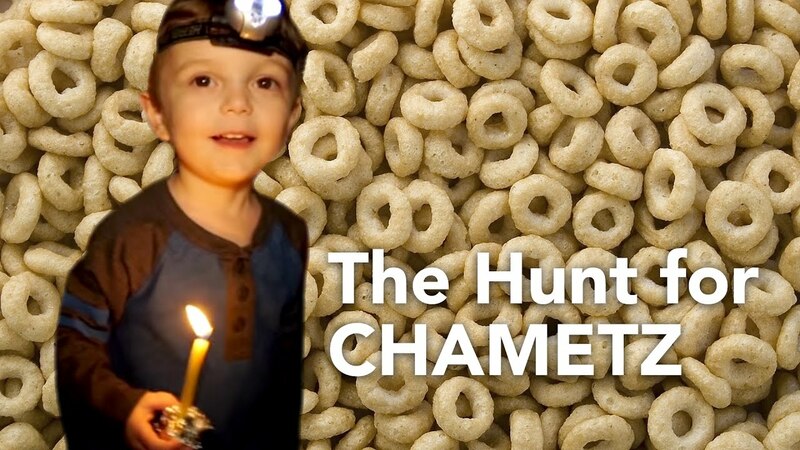 Each bag contains two small challahs, a small bottle of grape juice, a Kiddush cup, candle sticks, and candles. There is a small blessings booklet, a Shabbat storybook, and a binder for each family to write a little about their Shabbat experience. Each week that the bag goes home, another family adds their story for the next family to enjoy the following week. I was so impressed with this school tradition last year that I wondered why we waited until mid-year to start it. This year we’ll start after the high holidays and before Thanksgiving, providing each family at least two or three opportunities to take home the Shabbat Bag. Each class is also going to work on creating an element to go into the bag (like a challah cover or candlesticks) so that the children in the class take ownership of their bag and take extra pride in it when they take it home to share with their families. While there are certain customs associated with the Shabbat meal, in my opinion there’s really no wrong way to celebrate Shabbat. Families shouldn’t feel so overwhelmed by the “do’s” and “don’ts” of Shabbat that they hesitate to give it a try. Start with what is familiar, and build from there. You’re worried that you don’t have time to make a traditional meal? Or no one will like it? If your kids love pizza, and if ordering a pizza gives you the time to sit down as a family, then order the pizza. And have Oreos for dessert. Maybe some of the meal’s rituals don’t resonate with your family for whatever reason. Don’t force it. Find or create traditions that do have meaning for your family. Maybe instead of reciting the traditional priestly blessing for the children you tell them something about themselves that makes you proud. Whatever your family make-up or level of observance, it’s about finding the time to be together as a family that’s most important.